Wittenborg Online: Wittenborg Lecturer's Book on Islamic Banking offers "Viable Option"
Wittenborg Lecturer's Book on Islamic Banking offers "Viable Option"
Wittenborg lecturer Dr Muhammad Ashfaq has a new book out: “Islamic Banking and Finance in Europe: The Case of Germany and the United Kingdom”. 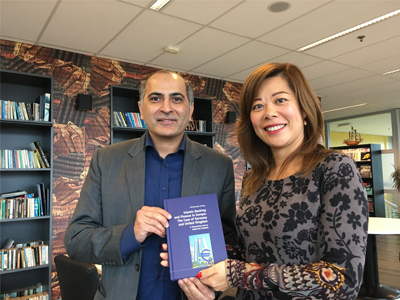 Ashfaq said the book is the first one comparing Islamic banking in the two countries, and contributes to eradicating the lack of data available on the subject in Europe. It was published by the Peter Lang Publishing Group in Germany and was written as a result of Ashfaq’s doctoral studies on the subject. “After the financial crisis of 2008-09, there developed a need to understand the Islamic financial system as an alternative. It showed itself to be a viable option,” Ashfaq said. According to his research, the Islamic financial industry is growing in Europe. 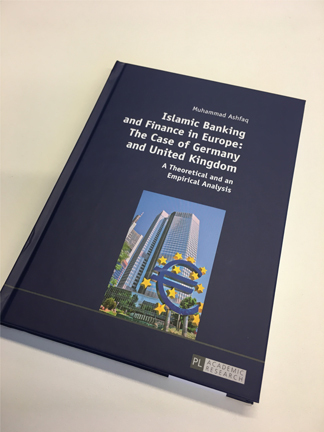 “The qualitative study showed that the success of Islamic banking and finance in the UK is mainly due to the proactive role taken by regulators and London’s role as an international financial centre. Germany’s regulatory model is different from that of the UK in that there are no market entry barriers, and the success of Islamic banking in Germany will largely depend on the operating model of Islamic financial institutions.